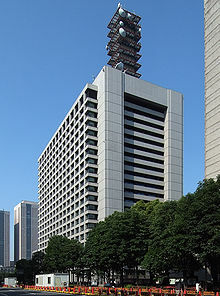 The Ministry of Land, Infrastructure, Transport and Tourism (国土交通省, Kokudo-kōtsū-shō), abbreviated MLIT, is a ministry of the Japanese government. It is responsible for one-third of all the laws and orders in Japan, and is the largest Japanese ministry in terms of employees, as well as the second-largest executive agency of the Japanese government after the Ministry of Defense. The ministry oversees four external agencies including the Japan Coast Guard and the Japan Tourism Agency. MLIT was established as part of the administrative reforms of January 6, 2001, which merged the Ministry of Transport, the Ministry of Construction, the Hokkaido Development Agency [ja] (北海道開発庁 Hokkaidō-kaihatsu-chō), and the National Land Agency [ja] (国土庁 Kokudo-chō). Before the ministry renamed itself on January 8, 2008, the ministry's English name was "Ministry of Land, Infrastructure and Transport". After a fatal bus accident on April 29, 2012 where a bus bound for Tokyo Disneyland crashed into a wall on the Kanetsu Expressway in Gunma Prefecture killing seven and injuring 39 others, the ministry launched an investigation into highway bus companies. From May to June 2012, it carried out inspections and found that 250 of 298 companies (over 80%) violated the Road Transportation Law, with 48 companies breaching it seriously and one even lending its name to another company. Twenty-two companies broke the law by hiring drivers on a daily basis. Among them, 15 companies hired more than one driver this way, which the ministry considered a "serious violation." The largest number of drivers hired by a company in this fashion was eight. 192 companies were found to have broken the law by ignoring the maximum nine hours of work a day for drivers. It also found 118 companies did not give proper instructions and supervision to drivers, including the provision of safety education. Forty-eight companies did not perform roll call before their drivers started work, which should include an alcohol breath test. The ministry considered some of these violations as serious depending on their frequency and extent. "We would like to provide thorough instructions to the bus companies about their safety management," an official of the ministry's Road Transport Bureau said. The ministry was considering whether to punish the violators and publish the inspection results of bus companies that are organizing tours this summer on its website. New safety measures, due to come into effect as early as July 2012 prohibited travel agencies from brokering bus tours to third parties. In the April 29 crash, two companies acted as brokers between the tour organizer and the bus operator. ^ The Organization of The Ministry of Land, Infrastructure, Transport and Tourism (As of July 1, 2011), Ministry of Land, Infrastructure, Transport and Tourism. Wikimedia Commons has media related to Ministry of Land, Infrastructure, Transport and Tourism (Japan). This page was last edited on 11 March 2019, at 22:59 (UTC).